Crystal Explorer Kayak – Pair – $1299 Each! The Crystal Explorer by The Crystal Kayak Company is a totally crystal-clear canoe-kayak hybrid that lets users observe the underwater world below them! 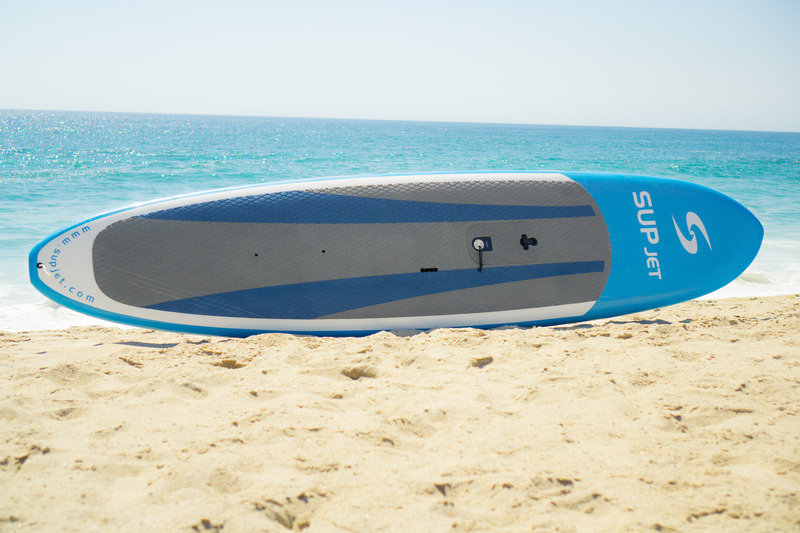 The Crystal Explorer features durable yet lightweight construction and is designed for conditions ranging from totally flat to breezy and choppy waters. It’s removable frame, seats and inflatable chambers allow for easy stacking, storage and transportation. This package includes 2 Crystal Explorer Kayaks 4 paddles, 4 Seats and 4 Flotation Pouches w/ Zippered Nylon Covers. Featuring an advanced polymer hull and corrosion-resistant hardware, this kayak is sure to turn heads and is a favorite on the water. Our kayaks are great for hotels/resorts, water sport rental companies, vacation homes and individual enthusiasts. Looking for more than two? Contact us for fleet options! Crystal Explorer Kayak – $1599 Each! The CycleBoard SPORT is a remarkably intuitive stand up electric vehicle with advanced lean-to-steer technology designed to move as you move. With it’s 1-second folding handle and lighter weight, the SPORT is our most portable model. Shipping immediately! Take advantage of savings by signing up for our Newsletter! 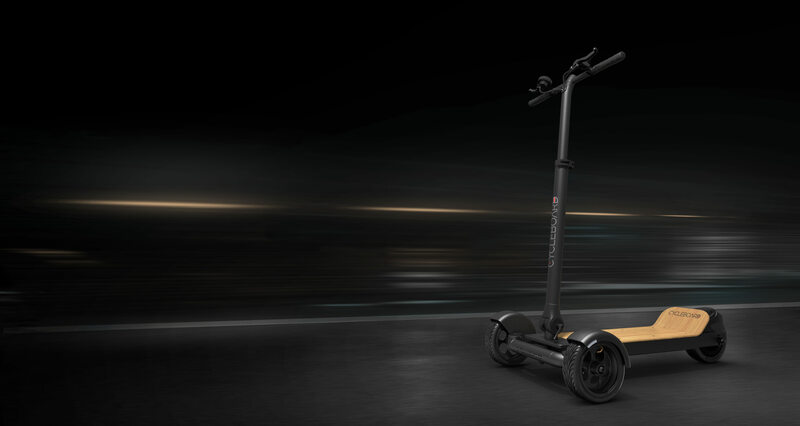 The CycleBoard ELITE is a remarkably intuitive stand up electric vehicle with advanced lean-to-steer technology designed to move as you move. With upgrades like rear suspension and a hinging deck for battery hot swap, this board has it all. Orders shipping immediately! Take advantage of savings by signing up for our Newsletter! The CycleBoard ROVER is a remarkably intuitive stand up electric vehicle with advanced lean-to-steer technology designed to move as you move. With front and rear suspension, 10” all-terrain tires and more power, this board is built to ride anywhere. *Currently a pre-order item with expected delivery the beginning to middle of January 2019. Take advantage of savings by signing up for our Newsletter! 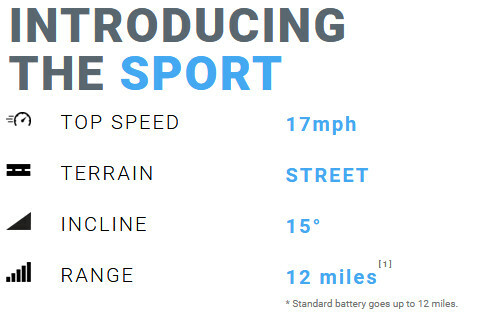 * Standard battery goes up to 30 miles. 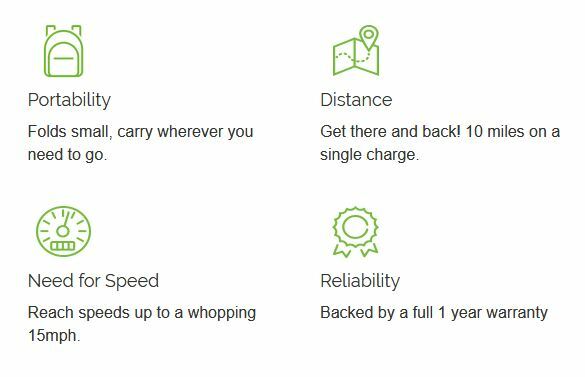 Extended range up to 40 miles requires battery upgrade option. The CycleBoard GOLF is a remarkably intuitive stand up electric vehicle with advanced lean-to-steer technology designed to move as you move and optimized for golf course environments. Choose between our golf bag holder or our custom wrap around golf bag to carry your clubs. *Currently a pre-order item with expected delivery in June. Take advantage of massive savings by signing up for our newsletter! The electric Jupiter Bike makes travel easy with its powerful motor and lightweight alloy frame. Durable, reliable and foldable, the Jupiter Bike is small enough to fit in a backpack and sturdy enough to take you wherever you want to go. Travel in style with the electric, folding Jupiter Bike. Perfect for Yachting, Sailing, RV’s, and campers. Free Shipping included in the price! 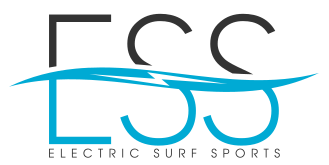 Sign up for our newsletter for significant savings! Test drives are welcome, call us for appointment. Located in West Palm Beach, FL. Sleek design meets compact functionality with the JupiterBike Discovery folding electric bike. Featuring a 40 mile range on a single charge, full electric throttle and pedal assist systems to ride your way. A compact tri-folding weight of 36 lbs makes the Discovery the perfect bike for just that – exploring and discovering new areas when traveling by land, sea, or air. The strong and lightweight magnesium alloy frame makes for a very rugged and sturdy ride, it feels and handles like a much bigger bike, and with a weight limit of 265lbs, the bike is great for all, big or small. Take a test ride with us in South Florida, contact us for an appointment! Sign up for our newsletter for significant savings. So much in such a small package. The 2018 Voltbike Urban builds on proven technology and delivers on quality and price. Perfect for tight spaces such as on motor boats & yachts as well as RV and campers. If getting around is the name of the game, the Voltbike Urban has you covered. Featuring 5 Pedal Assist Levels and purely electric thumb throttle, riding the Urban is not only safe it’s a blast too! One of the lightest electric bikes in North America, and because of its lightweight design, the bike rides superbly well with or without power assistance. The powerful 350 Watt maintenance free Bafang Power Motor paired with 13Ah Li-ion battery ensures this bicycle can comfortably take you up any hill and makes easy riding against strong winds. FREE Motorcycle DOT approved Helmet with purchase, select size and color options with bike. Explorer further and faster with every pedal stroke. New for 2018 is a front fork suspension with travel up to 100mm. 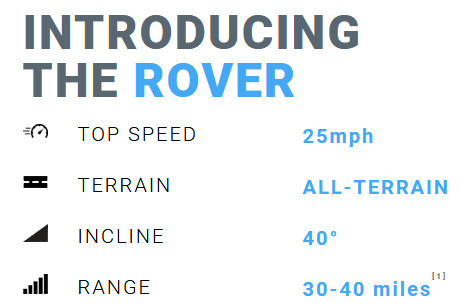 With a top speed of 20 Mph, and a range of 40 miles. The 500W Hi-Torque rated electric folding fat tire Mariner is the all terrain bike you’ve been waiting for! It quickly folds down in a matter of seconds for easy transportation on your boat, RV, car, or plane. At 58 lbs it is easily one the lightest electric bikes on the market. Featuring pure electric twist throttle or Pedal Assist Systems (PAS) you decide how far and how fast you want to go. Free matching color motorcycle rated DOT helmet with every order. Since the first days of VoltBike, the Yukon has been the benchmark for innovation, performance, reliability and price which all other fat bikes are compared to. For 2018, VoltBike Yukon 750 has been re-modeled once again, now offering a cutting-edge technology at price point you can’t resist. Be prepared to meet the BEST electric fat bike the money can buy on the market today. From the new frame with an integrated 16Ah battery Panasonic to the well known Tektro hydraulic disc brakes, Voltbike Yukon 750 is simply the best.. Featuring a Pedal Assist and full throttle system. Also new for 2018 is a hydraulic brake system. Voltbike Enduro represents the pinnacle in the evolution of electric bike performance, driving both pleasure and versatility. 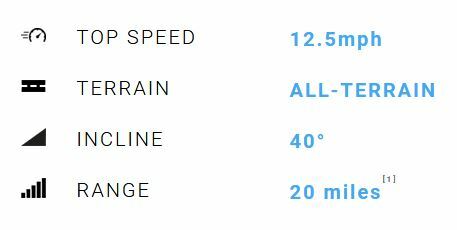 Voltbike Enduro combines the ability to shred light downhills, together with the ability to master steep, technical, and previously impossible to ride uphill climbs. Voltbike Enduro comes with a powerful 48v 350w mid-drive motor with torque pedal assist sensors, lockable front suspension with a travel of up to 100 mm and lockable rear suspension ideal for light and medium terrain. Price includes shipping straight to your door! Sale ends Monday the 27th! Spring Cleaning Sales! Vibe Kayaks and more! All Bixpy Jets in Stock!